Tutti Designs Easter Flower Basket die. 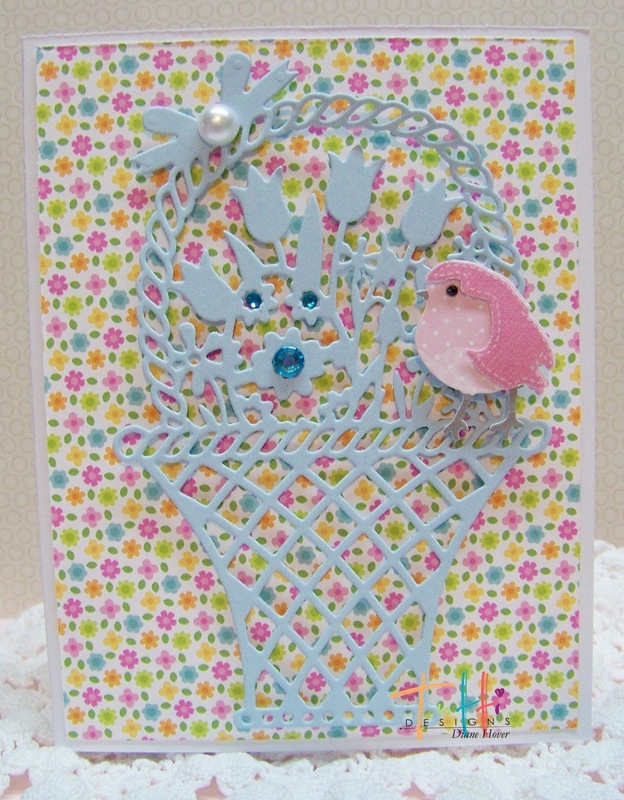 in it, but this basket can be used long after Easter, well into spring! I have two different cards using this same die. pretty designer paper down the middle. The basket die cut was popped up on that. I added a bit of grass in front and a bunny. To finish it , I added a pink gem to the bow. and a cute little sticker bird to finish! These are both SO PRETTY! So springy and delicate! Awesome inspiration! Thanks!! Beautiful! I love that pretty basket! 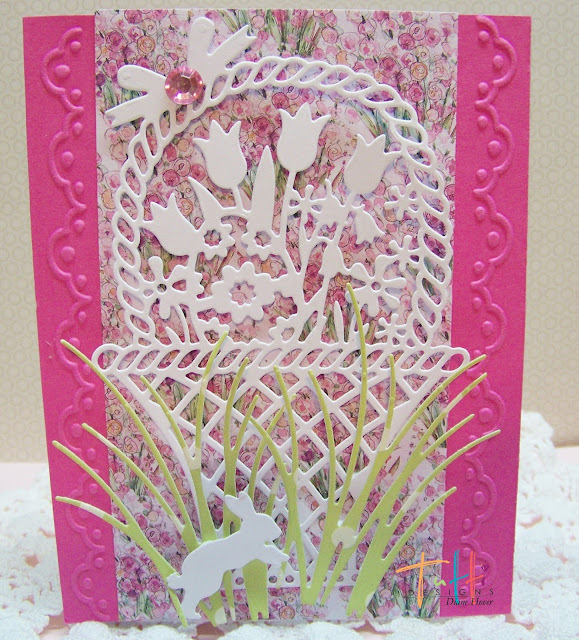 Love this spring time cards! They are such happy cards.